In preparation for launch in the Swedish and Danish markets, Swedish/Danish Acarix AB’s (publ) (“Acarix”) CADScor®System will be on display at the Swedish Society of Cardiology spring meeting in Malmö, April 26-28. Delegates will have the opportunity to review first results from a study that was presented at the American College of Cardiology Annual Scientific Meeting held in Washington, March 17-19, 2017 showing that CADScor®System rules out CAD with 97% negative predictive value. The kind of research I'm interested in is a technique called diffusion MRI and this technique is sensitive to the microstructure of the tissue. Particular clinical applications that it is used for are cancer and looking at neurodegenerative diseases. Research from the Universities of Leicester and Nottingham that exploits space-age technology for medical benefits is featured in a new publication. DILON Diagnostics and GE Healthcare are pleased to announce that they have signed an agreement for DILON to be the exclusive distributor of GE's Discovery NM750b Molecular Breast Imaging system in North America. A unique new imaging method, called "polarized nuclear imaging" - combining powerful aspects of both magnetic resonance imaging and gamma-ray imaging and developed by two physicists in the University of Virginia's departments of Physics and Radiology- has potential for new types of high-resolution medical diagnostics as well as industrial and physics research applications. 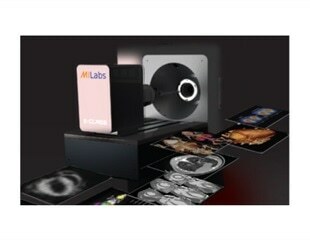 MILabs will provide an advanced U-SPECT4CT system to the Yale Translational Research Imaging Center (Y-TRIC) in New Haven-Connecticut, with support of an NIH Shared Instrument Grant for advancing their program in multimodality molecular and translational cardiovascular imaging research. With a shortage of donor organs, Mayo Clinic is exploring therapeutic strategies for patients with debilitating liver diseases. Researchers are testing a new approach to correct metabolic disorders without a whole organ transplant. Their findings appear in Science Translational Medicine. Mallinckrodt plc, a leading global specialty biopharmaceutical company, today announced new retrospective health economic data on H.P. Acthar® Gel (repository corticotropin injection; RCI), which may be an option for the management of multiple sclerosis (MS) relapses. In order to recognize and encourage cutting-edge research in key areas of orthopaedic sports medicine, the American Orthopaedic Society for Sports Medicine will present ten research awards and seven grants during its Annual Meeting, July 9-12 in Orlando, FL.